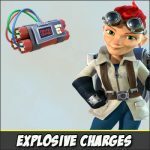 Critter Cannon: review, combinations | Boom Beach. All about the Game! 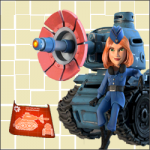 Just like two previous proto-troops – Critter Cannon is available only if we have special coupons, which we can buy from Trader! 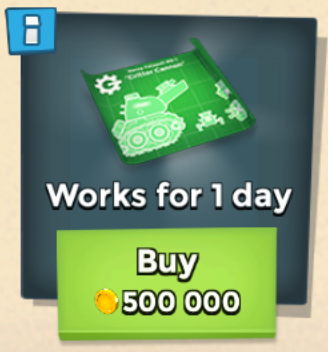 The price depends on cannon level… For example, one coupon for 3rd level cannon costs 500 000 of gold. One coupon – 24 hours of proto works. 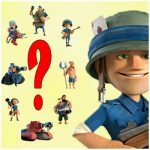 Now about impressions… Critter Cannon is rather a support troop… Or in other words, it is not effective if to use it alone without support of other troops… I don’t like this troop! 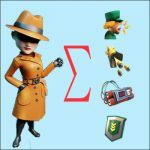 As for me, Rain Maker is much better and successful troop than Critter Cannon is. No, it’s not fully useless… Max level cannon launch 6 critters in a row and this is not bad! But first few levels cannon is useless due to low critters quantity (for example, 3rd level cannon shoots only 4 critters… it’s too low quantity). I’ve tried Critter Cannons in Imitation Game and group of 7 cannons (3rd lvl) with Brick didn’t pass through the 5th level… As I wrote before, I think this unit is not very good and the main reason is low quantity of critters per shot... So, what about you? What do you think about Critter Cannon? I like it! 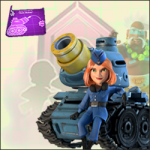 I think this troop is very useful! 4. Completely useless one! It's not worth so many gold! 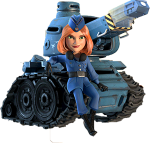 As for combinations with Critter Cannon… To my mind the best attacking combinations with this proto-troop are: “Scorchers+Tanks”, “Tanks and Medics”,”Tanks, Grenadiers and Medics” (max level cannon suits this combo pretty good). My higher account has level 19 Armory and I am offered level 4 critter tanks.